Consult the Spirion (Identity Finder) End User Guide for Windows or Mac for more information. Delete the files using the "Shred" command. This can be done from within the Spirion (Identity Finder) interactive scan report or by right-clicking on the file or folder and choosing "Identity Finder/Shred." If you are unable to delete the file, contact your help desk. Delete the files securely. Use a secure file deletion utility such as Eraser. Contact your systems administrator or the ITS Service Desk for recommended products. Sanitize the information by using the "Scrub" command. This can be done from within the Spirion (Identity Finder) interactive scan report. Spirion (Identity Finder) will replace the Private Information with x's. Note that this option is not available for all file types. Sanitize the documents by deleting any private information such as Social Security Numbers (SSNs) or credit card numbers. Save a new copy of the sanitized document and delete the original file. Sanitize the information by using the "Scrub" command. This can be done from within the Spirion (Identity Finder) interactive scan report. Spirion (Identity Finder) will replace the Private Information with x's. Open the file and replace the x's with unique identifiers not based on the SSN. Sanitize the documents by eliminating the private information. Convert SSNs to University Identification Numbers (UIDs). Unnecessary possession of Private information should be eliminated. in furtherance of submitting a federal or state governmental application that requires the transmission of an individual's social security number. In addition, SSNs shall be maintained when required by either court order, subpoena, or by direction of the Office of Legal Affairs. Do not store the encryption key or password on the computer or drive containing the encrypted information. Minimize the amount of records stored locally on a desktop or laptop computer by storing the information on an RIT file server. Inform your manager and your Information Steward/Management Representative of the need to retain Private information. 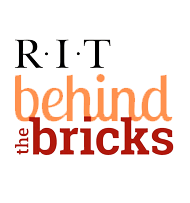 Contact the ITS Service Desk or the RIT Information Security Office for more recommended practices. Storage or conveyance of Private Information on portable devices or media is strongly discouraged. Minimize the amount of records stored on portable devices or media by storing the information on an RIT file server. Private information (and RIT Confidential information) stored or transported on portable media must be encrypted. Do not store the encryption key or password on the media containing the encrypted information. If you are storing or transporting the private information on a portable computer, contact your help desk for encryption options. Protect the private information from unauthorized use or theft. I no longer need the portable media or hard drive, how do I dispose of them securely? Erase magnetic media (hard drives, LS120 media, old Zip/Jazz Cartridges, magnetic tapes) with a degausser. NOTE: the media may not be usable after degaussing. CD/DVDs can be shredded in a media shredder. A degausser and media shredder are available at the ITS Service Desk in Booth 07B.